Some days you faultlessly juggle everything that is your life - kids, husband, house, job, church, friendships, school, pets, appointments, and on and on. Other days the very thought of which ball you're going to drop puts your anxiety level through the roof. You're afraid you're forgetting something. And you are: God's advice to fear not. 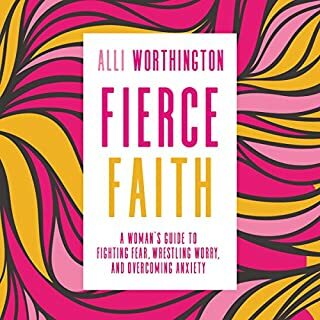 Alli Worthington knows all about the ways a woman can be hard on herself. 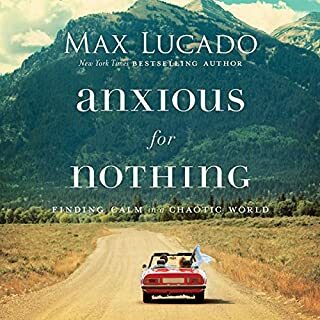 She shares her own fear struggles with humor and honesty - while offering real strategies for coping with life's big worries as well as little everyday worries. How do you turn your struggles into strengths? 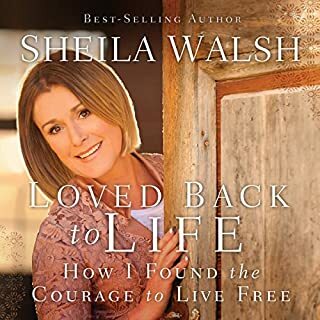 Beloved Bible teacher Sheila Walsh teaches listeners how the daily spiritual practices of confession, meditation on God's Word, and prayer result in fresh freedom in Christ. 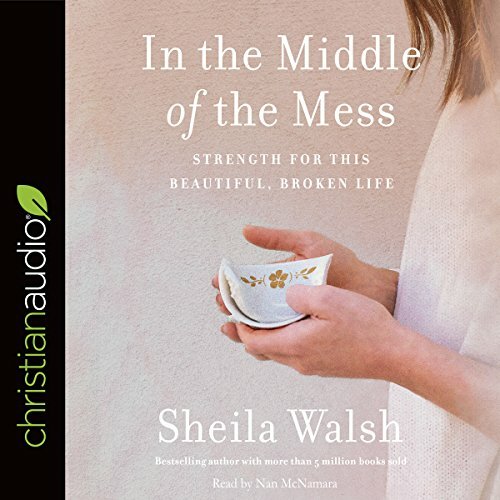 In her long-awaited new book, Sheila Walsh equips women with a practical method for connecting with God's strength in the midst of struggle. 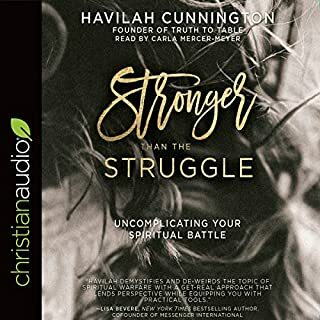 From daily frustrations that can feel like overwhelming obstacles to hard challenges that turn into rock-bottom crises, women will find the means to equip themselves for standing strong with God. Using the spiritual applications of confession, prayer, and meditation on Scripture to form a daily connection to Jesus, women will learn how to experience new joy as a child of God who is fully known, fully loved, and fully accepted. 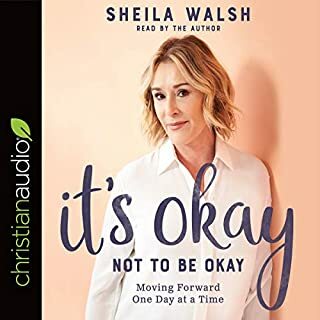 In In the Middle of the Mess, Walsh reveals the hardened defenses that kept her from allowing God into her deepest hurts and shares how entering into a safe place with God and practicing this daily connection with him have saved her from the devil's prowling attacks. Though we will never be completely "fixed" on earth, we are continually held by Jesus, whatever our circumstances. I found so much of it to be of a repetitive nature. I would have enjoyed hearing about how her son and husband helped her. I became weary about mid way through the book. I did find her honesty refreshing. Loved her Sheila was so authentic in this book. Sharing her story really touches my heart and I see things so much better. I’m not to be perfect but to be perfectly loved. I have listened to this twice and will listen many more times I'm sure. 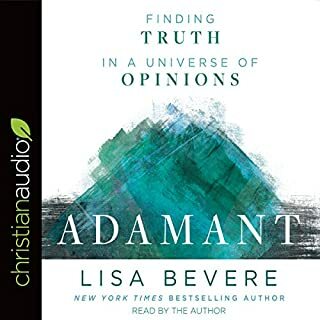 The book alone is heart-wrenching, but along with the bible study, it is heart changing. Hard stuff, this work on our inner self, but worth it in the end. Did not prefer to listen anymore! I loved this book. Thank you for your honesty and sharing your story. I so needed this. love how REAL she is makes it easy to relate to. L9ve all of Sheilas work. Sheila’s story is written with honesty and hope. Her faith and willingness to write so openly about mental illness inspires readers to speak openly with love regarding faith and challenges. It was such an encouragement to me. This has been a book that brought a lot of emotions. It brought revalation, reminders and inspirations. When I first started reading, I wanted to stop because it seemed so depressing but I pushed through and saw God's victory in the midst of the pain. Keep listening it will be worth it. I love Sheila Walsh. This book appeared to me when I needed it most. God is funny like that!